The E 220 d 4MATIC uses the same all-new four-cylinder 2.0-litre bi-turbo engine as the standard rear-wheel-drive E 220 d. It produces 194 hp and 400 Nm and, as with all new E-Class models, comes with a nine-speed 9G-Tronic automatic gearbox. 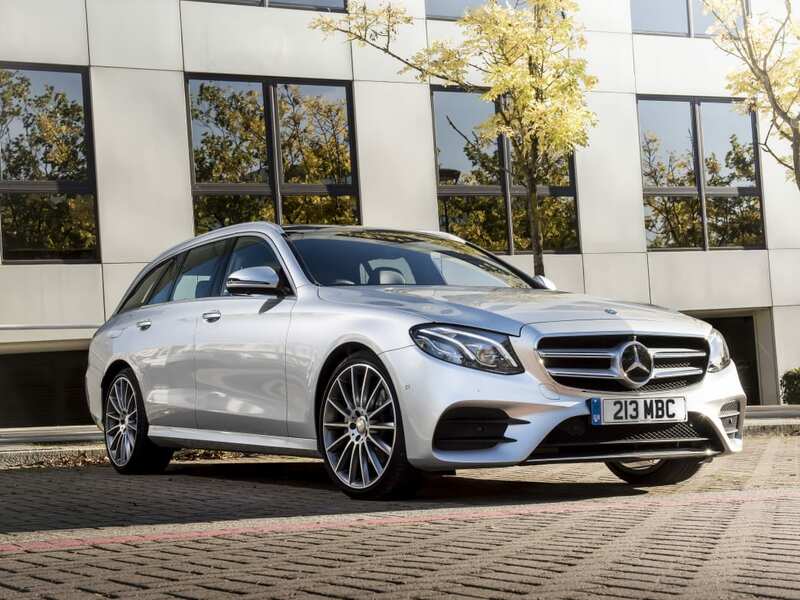 As well as helping to create seamlessly smooth shifts, the 9G-Tronic gearbox also contributes to the E 220 d 4MATIC saloon’s low 117 g/km CO2 rating and high 62.8 mpg economy (126 g/km and 57.7 mpg for the estate). With a torque split of 45:55 (front:rear), the 4MATIC system offers greater traction, driving dynamics and driving stability in all road conditions. 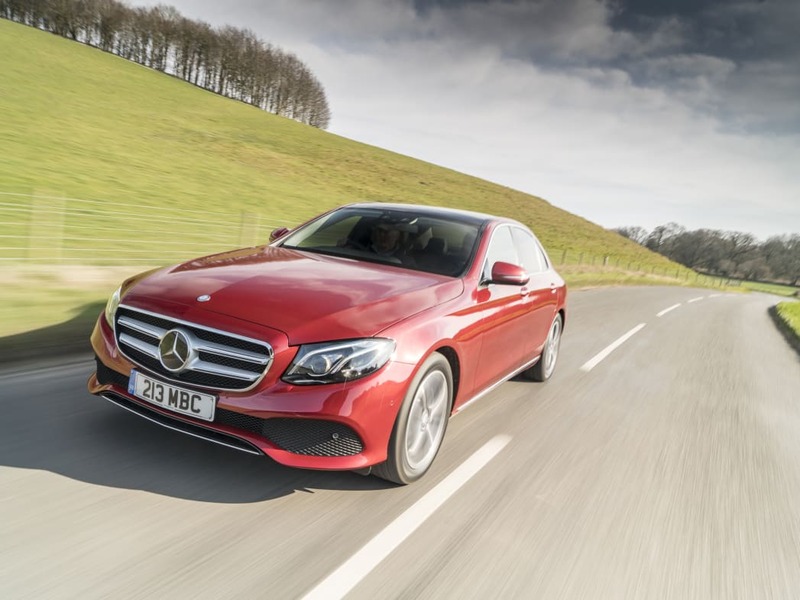 This is the first time a diesel E-Class has been offered with all-wheel-drive in the UK. The system improves traction on slippery surfaces and increases stability during changes of direction, using sensor data on the wheel speeds, the steering wheel angle and yaw and lateral acceleration. system; Collision Prevention Assist Plus autonomous emergency braking system; Pre-Safe anticipatory safety system (including Pre-Safe Sound, which helps prevent damage to hearing); 64-colour selectable LED interior lighting; two-zone automatic climate control; three-spoke multifunction steering wheel with dual touchpads; leather upholstery with heated front seats; LED headlights and taillights; electrically folding mirrors and 17-inch wheels. AMG Line models add to this with AMG exterior styling including unique bumpers and side skirts; 19-inch alloy wheels; perforated front brake discs; three-spoke AMG steering wheel; and Artico leather and Dinamica microfibre upholstery with seat comfort package. Next-generation driver assistance systems include a Lane Tracking Package (£595) that includes Passive Blind Spot Assist and Active Lane Assist, and the more comprehensive Driving Assistance Plus Package (£1,695). The Driving Assistance Plus Package includes Drive Pilot, which combines Distance Pilot Distronic – which can maintain the vehicle at a set distance behind other vehicles – with functionality that allows it to follow the vehicle in front. In combination with Comand Online navigation, the system also has Speed Limit Pilot, which can automatically adjust the vehicle’s speed to camera-detected limits or those logged in the navigation, and Active Lane-Change Assistant. Active Lane-Change Assistant allows the vehicle to change lanes on a motorway or dual-carriageway with minimal input from the driver. The driver simply indicates and the car will make the lane-change providing it doesn’t detect any vehicles in its path. Also included are: Active Brake Assist with cross-traffic function; Evasive Steering Assist; and Pre-Safe Impulse Side. If a lateral impact has been detected, this last system inflates a chamber in the side of the backrest to move the driver or front passenger further from the danger zone.